One of the various parks in Palermo district is the Rosedal. It is a traditional park with 18.000 rose bushes and many artworks. Buenos Aires was founded next to the river as a city port to export and import different goods. Commerce is still very important and the port is the connection with other civilizations. As we have seen in the last post, nowadays the river works also as a distraction and a place of disconnection for the citizens of Buenos Aires. Buenos Aires was founded as a city port back in 1580 by Juan de Garay. The port of the city was an important icon in the economy of the country, but a lot of local ecologists agree that Buenos Aires was built giving the back to the river. Comics make people laugh and build culture. Cartoons also reflect the personality of the population. This is why we are going to share with you a free tour to discover the most popular cartoons in Argentina. We told you before that Palermo is the biggest district of Buenos Aires and that’s why we are writing a few posts dedicated to this important neighborhood of the city. In this article we are going to design a new walk through Palermo under the section free tours to do on your own. It is impossible to imagine Buenos Aires without trees. Wherever you go, every district you walk, you will see different kinds of plants, flowers and trees, not only in the parks, but in the sidewalks. 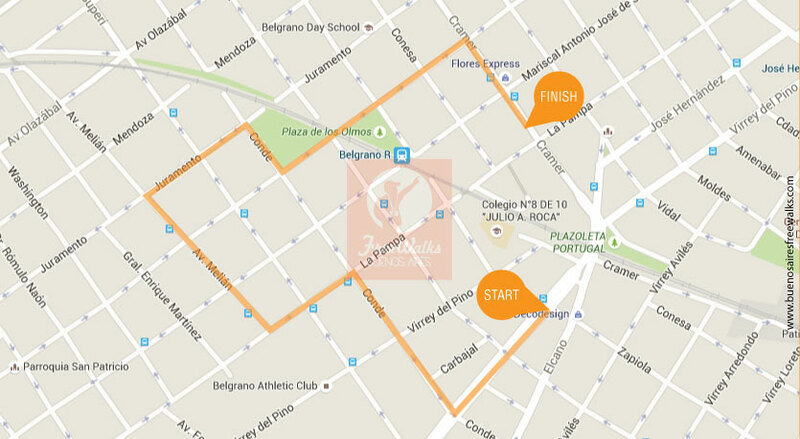 We are talking again about nature because we are going to design a Free tour to do on your own through Belgrano district and you will notice a lot of nature during this walk, and also a lot of history and architecture. 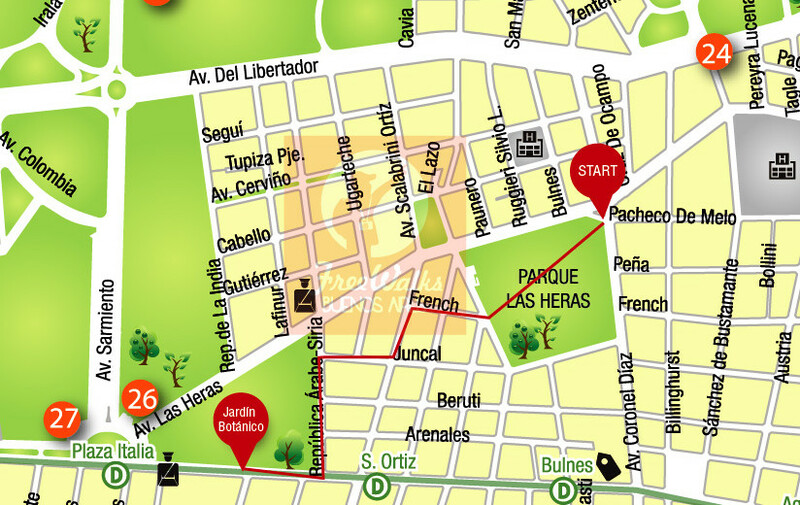 As we told you before, in Buenos Aires we are going to find a lot of parks to enjoy the day. 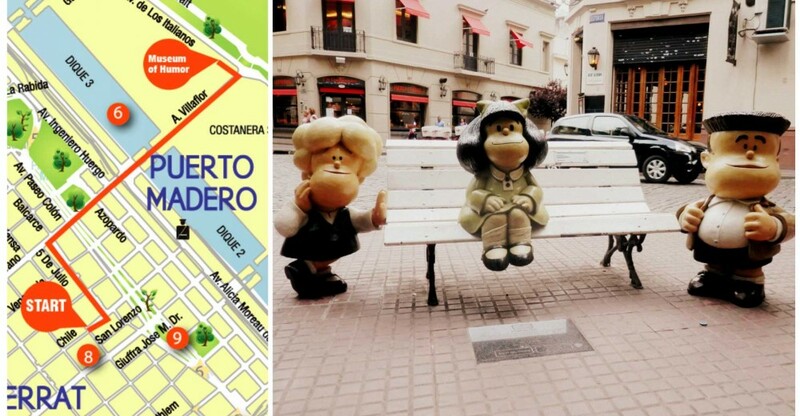 Earlier, we designed a free tour around the Ecological Reserve in Puerto Madero, so now where are going to offer you a walk through Palermo Parks.